FOR IMMEDIATE RELEASE Contact: Brian Ledford 231. 218. 2657 7/30/2018 Kaleva- The 21st Annual MOPARS AGAINST THE WORLD event took place this past weekend at Northern Michigan Dragway. Racers were again out in record numbers, taking in the facility's multitude of improvements. They were treated to action-packed races along with a fantastic fireworks show. The total number of Day 2 entries grew from 374 entries last season, to a new record 423 entries. Spectator numbers (just over 3,000) were down just slightly, due to some rainy weather Thursday and Friday evenings, and temperatures fell to low 50's on the third night. The forced postponements created an arduous 18-hour race day Saturday. Racing action was heated, nonetheless, in ideal conditions for race machines. In head-to-head match-ups, the Mopar racers took the final score advantage 221-198, to claim their fourth straight championship. Last year's score was 174-164. 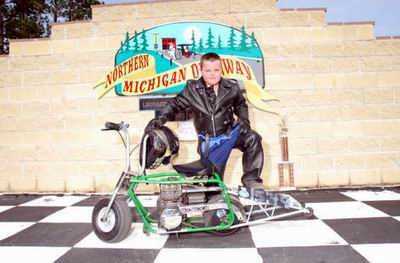 The top money winner was Maverick Green, 18, of Grand Haven, riding a 2004 Suzuki Hayabusa dragbike. His efforts netted him the $10,000 Bracket II final round win. Green became the youngest to ever win the main event, and also became the first racer to do so on a motorcycle. Runner up, Manton racer Matt Letts finished with over $5,000 in winnings for the weekend with the Letts Express race team, moving from 19th in the TNT points series, up to 8th position. Billy Meier of Mattawan was awarded $1,000 for his 8th-round semi-final finish in a Dodge Dart. Scott Hoernlein of Freeland won the $6,000 Bracket I final over White Cloud racer Kelly Smith, who brought in over $3,000 for his efforts with his dragster. $2,000 winners included Robby Girven of Brethren, Friday race winner in Bracket I. Maple City racer, Phil Anderson also grabbed a $2,000 win Friday, taking the Bracket II win and also jumping into the class points lead. Eric Johnson of Onekama and Sean Nagy of Houghton Lake each took a class win in Top Doorslammer Friday and Saturday, respectively. Stan Jones, Jr.
of Freeland and Joe Whitaker of Ithaca topped the 9-round Pro Trophy races. Street Trophy wins went to Pepe Hoose of Saginaw and Benzonia's Scott Swander. The next races on the NMD schedule will be the August 10th and 11th weekend featuring a make-up event for TNT Points Event #10, and the Cory Gunther Memorial Race. Ford racers will soon get their turn to take on all others, as the 6th annual Blue Oval Battle takes place August 23-25. Points standings and further information is available at NMD's website www. NorthernMichiganDragway. net and on the social media page. FOR IMMEDIATE RELEASE Contact: Brian Ledford 231. 218. 2657 Mopars Against the World Attendance hits 3100 8/3/2016 Kaleva- When last year's record crowd of 2,600 people attended the Northern Michigan Dragway 18th Annual Mopars Against the World event, a question was raised. How big is this going to get? The 2015 event drew in 1,966 spectators and had a total estimation of 2,600 overall attendance. In keeping up with the recent tradition of breaking records, the crowd this past weekend's 19th Annual MATW increased by 455 spectators to 2,421 pit and spectator admissions. The event's overall attendance was approximately 3,100 people. Plans are in place to accommodate for more parking, and even earlier starting times to keep from running so late into the morning hours. Looking ahead on the 2016 schedule, the Cory Gunther Memorial Race, points event #12 is taking place Saturday August 13th. Race #13 is slated for August 20th. The 4th Annual Blue Oval Battle, featuring Ford competitors taking on all others, takes place August 26th and 27th. NMD is located three miles north of Kaleva on Potter Road. Full race results, event times and points standings can be found at NorthernMichiganDragway. net and NMD's Facebook page. Racers and fans alike had been anxiously awaiting the Saturday April 30th season opener for several months. Coming off a record-breaking season in all attendance categories, Northern Michigan Dragway started the 2016 season where it left off the previous year. Over 200 spectators were on hand, to watch 93 race entries participate in Saturday’s opening day test and tune event. The previous best turnout for opening day had been 65 entries. The newly-poured concrete starting line performance came around quickly. 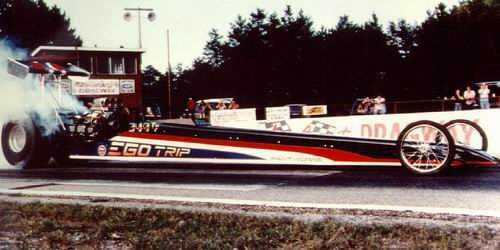 The fastest dragster was driven by Kip Burkhardt of Coldwater, running the eighth-mile in 5. 03 seconds elapsed time (E. T. ) at a top speed of 137. 34 miles-per-hour with his Ford-powered entry. 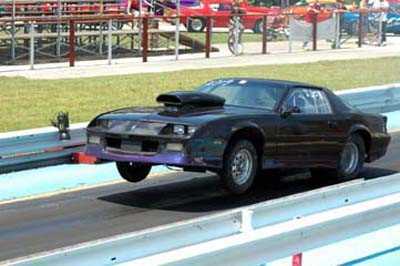 Frank Piltz of Cadillac had the quickest door slammer entry, as his 1990 Pontiac Firebird performed a best pass of 5. 31 E. T.
and topping out at 137. 37 mph. The fastest snowmobile pass was made by Mike Brown of Traverse City with a 2017 Arctic Cat, 5. 93 seconds at 132. 10 mph. Racing action will continue this Saturday with another test and tune scheduled from 2-6 pm. The following Saturday, May 14th will be the first bracket race event of the season with time trials set to begin at 6 pm. NMD is located 3 miles north of Kaleva on Potter Road. For more information visit NorthernMichiganDragway. net or call (231)362-3439. 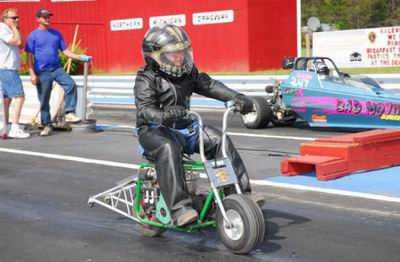 Kaleva- In their 45 years of drag racing facility operation, Northern Michigan Dragway owners Tom and Sharon Ledford have seen some great weekends. They can easily recollect jam-packed race events in each decade, along with some lean times when it seemed the business was in jeopardy. The 18th Annual Mopars Against the World event this past weekend broke all attendance records by a substantial margin. The weekend's 1,966 paid spectator/pit admissions eclipsed the previous best 1,800 in 2012. The weekend event also drew a record 336 different race vehicle entries. 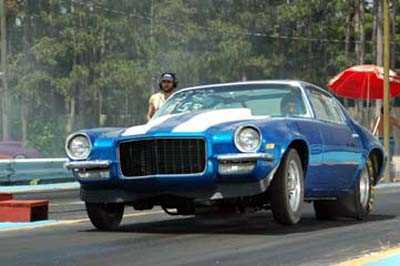 The Ledfords' career has also included a very successful 24-year lease operation of a race facility in the Thumb area, Ubly Dragway, where an overall attendance record was set at a 1995 event with 2,400 people overall. Friday and Saturday night's overall attendance at NMD was at 2,600 overall, making it the largest-attended event the Ledfords have ever put forth. As an added bonus to the racers and fans, a spectacular fireworks show was conducted Saturday night. The crowd's reaction to the grand finale was similar to what you would expect to the home team getting the winning score at a professional ball game. Extensive plans for parking area expansion are in the works, as much of the crowd had to park on the road and walk in through the gates due to parking capacity being filled. Racing action at NMD will resume on August 8th for points event #12, the Cory Gunther Memorial Race. Full weekend race results, points standings and upcoming events schedule can be found at www. NorthernMichiganDragway. For Immediate Release Contact: Brian Ledford 231. 218. 2657 5th Annual Bowtie Challenge slated for Friday and Saturday 6/25/2015 Kaleva- All indications are pointing towards another fantastic weekend at Northern Michigan Dragway. Racers and crew alike are anxiously anticipating the 5th Annual Bowtie Challenge. NMD racers have only been able to complete one points event in the last 30 days due to rainy weather conditions. The Bowtie Challenge features Chevy and Chevy-powered vehicles paired against other makes. A score is kept throughout the weekend for bragging rights. In last years event, it was the Bowtie faithful taking the victory in rounds-won, 149 to 131. Racers will be competing individually for over $20,000 in cash and prizes. Over 1,000 fans are expected in attendance. Both the west pit side and east spectator side (reduced price) gates will be open for admission both nights. Racing starts Friday at 6 pm for Time trials with eliminations by 9 pm. Saturday time trials start at 4 pm and races at 7 pm. For information on NMD, call (231)362-3439 or visit www. northernmichigandragway. com. For Immediate Release 4/29/2014 Kaleva- After a very long and cold winter off-season, racing fans are eager to get back to racing action at Northern Michigan Dragway. The 2014 race season will be the 45th year of operation, and is shaping up to be the best ever. Upwards of $100,000 in cash and prizes will undoubtedly create incredibly exciting race battles all season long. Racing action kicks off this coming weekend with Opening Day Testing scheduled from 2-6 pm on Saturday May 3rd. The following weekend will feature the first Saturday night bracket race event of the season, with time trials beginning at 6 pm on May 10th. NMD is located three miles north of Kaleva on Potter Road. For a complete schedule and other information, please see NMD at www. northernmichigandragway. net or call(231)362-3439. 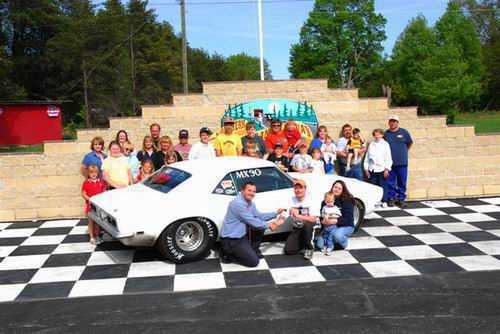 FOR IMMEDIATE RELEASE Kaleva- Coming off two consecutive years of record-breaking attendance, racers and fans are excited to get the 2013 racing season started this weekend at Northern Michigan Dragway. Friday and Saturday evening will see the Jados Media Points Series events 1 and 2 take place. The 2012 champs will be defending their titles. In Bracket I, Eric Johnson of Onekama had a runaway finish with his Chevy Nova, with Travis Milliman of Bear Lake taking second. Bracket II always seems to provide a thrilling finish, and 2012 was no exception. Scott Green of Manistee also used a Nova in taking the championship. Scott Eriksen of East Jordan needed an event win on the final points day to tie him, but came up just short with a quarter-final finish. Pro Trophy provided a thrilling finish as well. Gary Rank II of Manistee needed to get to round 5 on the final day. He accomplished the feat, and edged Ed Peffer of LeRoy by 5 points by doing so. Street Trophy also came down to a decisive final day. Jimmy Evans of Benzonia edged Gary Bowman of Prescott. In the Junior division, Drew Buozis of Hart used an early season string of four event wins, which enabled him to hold off Fife Lake's Nathan Lane for the championship. The action starts all over again this Friday and Saturday night. Time trials will begin at 6 pm, with eliminations at 8 pm. For further information, visit www. northernmichigandragway. net or call (231)362-3439. Attached photo thanks to Tina Mikus Photos: Brian Rockwell of Cassopolis heats up the tires in his 1932 Austin Bantam Roadster at NMD. The Zip Code for Bear Lake is 49614. Kaleva, MI Northern Michigan Dragway is preparing for its largest and most popular event of the season on July 29th & 30th. Billed as the ‘14th Annual Mopars Against the World,' it features a Chrysler, Dodge, Plymouth, Jeep, Eagle or AMC vehicle in every race against a competitive make until no longer possible, due to the total elimination of their competitors. 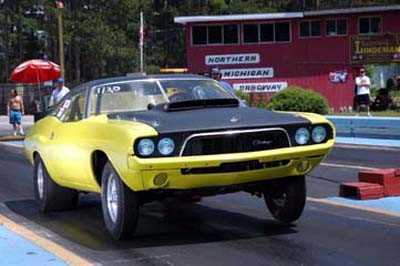 Mopars are on a roll, having dominated most years including 3 straight in 07, 08, and 09. 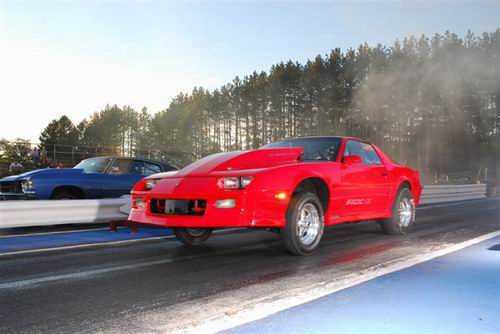 In 2010 a record was set for total attendance and race entries for the 'Mopars Against the World' main event at Northern Michigan Dragway, with this year expecting to be no different. In addition to the No Box Class, expect to see a full Super Pro program daily + Junior Dragsters, and Trophy classes. 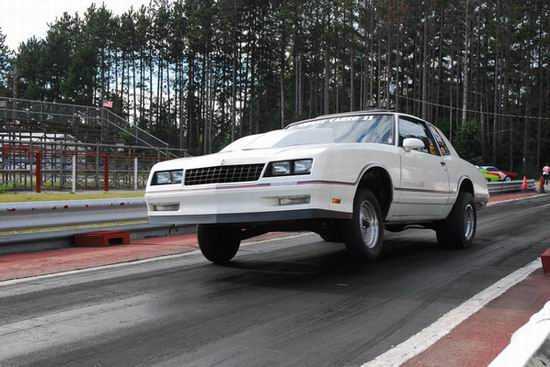 Racers from across Michigan and possibly from Indiana and Ontario, Canada are expected to participate this weekend at Northern Michigan Dragway. This year's event has an estimated total prize amount of nearly $20,000 to be awarded during the weekend’s race including the $5,000 top prize for Bracket II on Saturday, July 30th. Friday, July 29th's event has a Payout of $1,500 to the class winners of both Bracket I (Box) and Bracket II (No Box). The entry for Bracket I is $60 and for Bracket II $60 on Friday or $135 for the Weekend. Trophy classes are $15 entry and Juniors Class is $10 entry. It is $20 for the Weekend Adult Pit Passes or $12 Friday Adult Pit Passes, $5 daily for children 8-13. Time Trials start at 5pm and with Eliminations around 8pm. Saturday, July 30th's event has a Payout of $1,500 to the Winner for Bracket I (Box) and $5,000 Payout to the Winner of Bracket II (No Box). The entry for Bracket I is $60 and for Bracket II it is $99. Trophy Classes are $15 entry and Juniors is $10 entry. It is $12 Saturday Adult Pit Passes; $5 for children 8-13. Time Trials start at 5pm and with Eliminations around 8pm. For More Information on Mopars Against the World check out the Northern Michigan Dragway Website for a Promotion Video and Event Flyer. * Schedule and Payout Subject to Change To learn more about Northern Michigan Dragway: Check out our Website at http://northernmichigandragway. net On Facebook at http://facebook. com/northernmichigandragway and on Twitter at http://twitter. com/NMDragway Live Race Results on the Northern Michigan Dragway Website during each Race and Past Race Results can be found at http://northernmichigandragway. wordpress. com Race Day Phone: 231. 362. 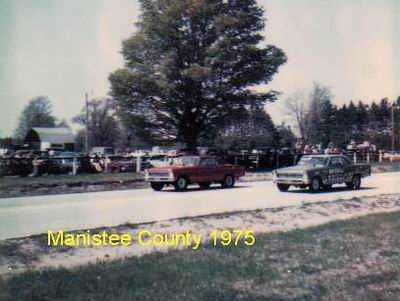 Hello Everyone, i am trying to find info/pictures from Manistee County Dragway from 1971. 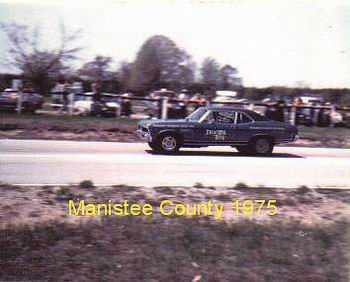 My father had a 1955 Chevy D/Gas that he raced mostly at M37 Dragway in Brohman, but he also raced it at Manistee County Dragway in Kaleva. I have found some of his old time slips, and the only legible one from Manisty County Dragway is dated 7/5/71. If anyone knows of someone who may have been a track photographer, if they had one, or of someone who was going to the track in 71 that may have taken pictures, please contact me. My email address is w_o_t_speedshop@yahoo. com I do have a couple of pictures of his car, I could email them or if you would like to view them they are posted on the M37 Dragway page on this site. Thanks in advance for any info. Al Larsen. 40th Anniversary Race Coming Soon! 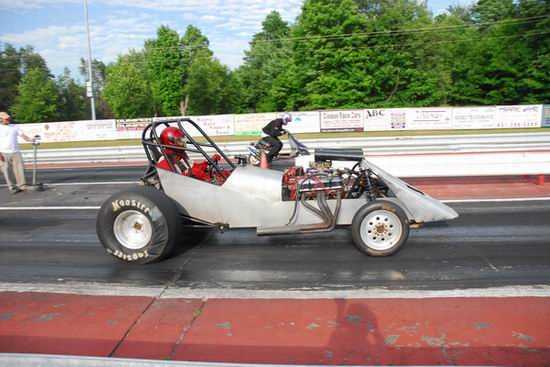 New Track Record Set!Kaleva-Northern Michigan Dragway is preparing for it''s largest expected event of the season Friday and Saturday nights, June 26th and 27th. The 40th Anniversary Bracket Race will be sure to be one for the ages. Both nights will feature $1,000 to win in the main event (box/no box combo), along with trophy and junior eliminator divisions. Several old-time racers are expected to also be on-hand with their cars and nostalgic display tables with pictures, trophies, and other memorabilia. Also, as an added bonus, one of the most spectacular shows in all of drag racing, the Supercharged Warriors, will bring a full 6 car show to town for the Saturday night feature. 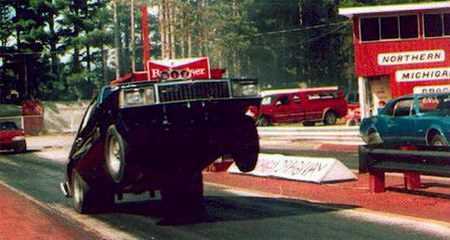 They are known for their long, smokey burnouts and wild side-by-side high-speed action. ( www. superchargedwarriors. com )One of the Warriors'' racers, Jason Icenhower from the Detroit area, was on-hand this past Saturday night doing some test and tune detail with his ''63 Corvette, the Dixie Hustler. On his first pass, he shattered the NMD track record for miles-per-hour with a 4. 72 seconds - 149. 42 mph blast on the 1/8 mile. NMD is located three miles north of Kaleva in Manistee County. Call (231)362-3439 or visit www. northernmichigandragway. net for more info. Here''s a great race we''ve added to the schedule to celebrate some good recent turnouts and falling gas prices It''s gonna be a MULLIGAN RACE - purchase your mulligan card to buy back any round through the final Basically, it is double elimination for everyone Looks like most of the other tracks will be closed on this weekend so mark your calendarsFall Bracket ChampionshipsSaturday and Sunday October 11th and 12th (Rain Date October 18th and 19th)NORTHERN MICHIGAN DRAGWAYMulligan Race for All Brackets both Days(Purchase a separate tech card to re-enter any round including the final)Saturday: Time Trials Begin at Noon; Gamblers Race #1 @ 1:00 PM with Time Trials between rounds; Gamblers Race #2 @ 3:00 PM. Eliminations for the main event begins @ 4:30 PMSunday: Time Trials Begin at Noon; Eliminations for the main event begins @ 2:00 PMFor full class breakdowns, entry fees and payouts for this event, see web site www. northernmichigandragway. netThank you WaterWinterWonderLand for this message board. After-Hours Street Drags this Friday night August 15th will feature an awesome bonus for the $5 race or watch admission. racing from 8 pm till midnight with heads-up trophy classes for 8,9,10,11, and 12 second 1/8 mile index classes on the Pro Tree! +PLUS+!! Big Bonfire and Killer Live band Cherri and the Violators http://www. myspace. com/cherriviolators will be playing along side the staging lanes from 9 pm till 1 am! Party Time with free camping over for all paid admissions! Racing Saturday night also - NIGHT MOVES http://www. 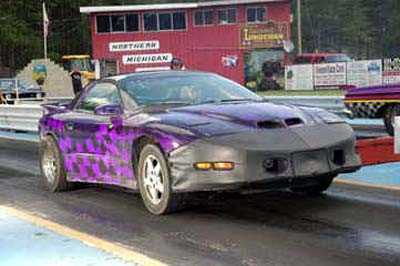 com/Northern_Michigan_Dragway email trackmanagers@gmail. com or call (231)362-3439. Brian, let us know if MMM brings back the Michigan Bracket Finals ,and we will see what we can do. thank you ED. Thank you Lapeer Dragway for your compliments! We''re hoping to get the Michigan Bracket finals revived this year at Mid Michigan, do you think you guys might be able to get a team of 20 - 25 racers together? Maybe we can see if Ubly can too. Just a thought, we''ll see if it is worth looking into. Mopars Dominate Day I action Bracket I Winner - Milo Ayres of Ithaca in a ''68 Dodge Charger, Runner Up - Archie Spires of Mancelona in a ''66 Plymouth ValiantBracket II - Eric Johnson of Onekama in a Dodge Daytona over Gary Rank of Manistee in a Mustang. Gamblers - Bob Cornell of Kingsley in a Monza, over John Cerka of FreesoilTrophy - Rhet Brewer of Eastlake in an Audi, over Ron Dougherty of Honor in a Cadillac*Sat. July 26 - Day two action, we''re keeping score of the head to head battles today!www. Brian, I just checked out your aerial photo of your track ,it looks like you have a real nice track for the racers to run, you should be proud of your place. Also I like the way you run the 1/8 mi I wish evey track would go to 1/8 mi. it is the safest all the way around. Nice track you have. 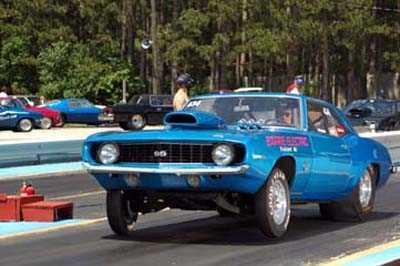 Ed Vakula Lapeer Dragway. 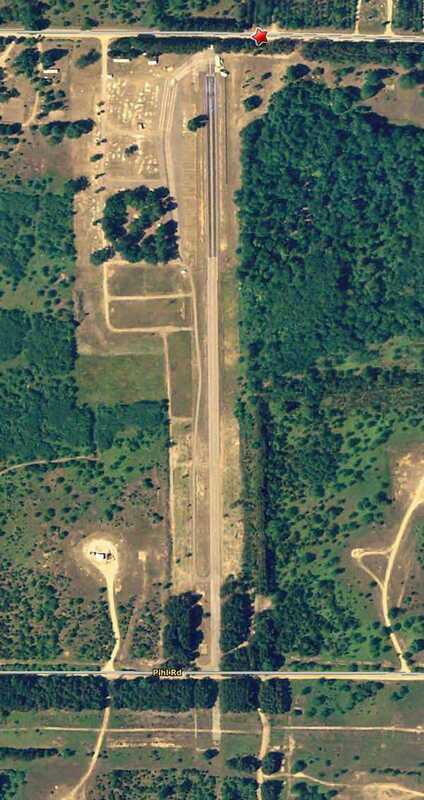 here''s a better aerial photo of NMDhttp://northernmichigandragway. net/images/Racetrack1. jpg. Kaleva- Racers from all over Michigan traveled to Northern Michigan Dragway this past weekend, braving the tough fuel costs. Entrants were from as far away as Sturgis, Clawson, Middleville and East Jordan. However, the two biggest winners for the weekend had the shortest tow distance in getting to the track. Saturday night''s main event winner was Corey Mikus, who lives just a couple hundred yards west of the dragway entrance. Then, Sunday night''s top earner was Mike Stokes, who lives about the same distance east of the dragway on the same road. Traveling expenses apparently weren''t a concern for either racer, which may have been a big help for them. Other racers doing well this weekend included Kevin Huntley from Beulah, who had a runner-up finish in the main event, and a Gamblers race win Saturday night, and a semifinal finish in the main event Sunday. Bob Vandewater of Cadillac also made it to the semifinals both nights, with a runner-up finish to Stokes on Sunday night. Bear Lake racers Cody Guerne, Travis Milliman, Cole Verrett, Anthony Thomas and Robby Girven all posted victories in different classes. John Tater Tatreau of Kaleva, and Gary Rank of Manistee were also victorious. Several classes were in competition over the two-day weekend, and full results are available on www. northernmichigandragway. net. This coming weekend''s After-Hours Street Drags will take place Friday night at 8 p. m. with time trials and grudge racing until midnight. This event with the low admission fee of $5 race or watch will be sure to bring in an excellent crowd. The popular smokey burnout contest will be scheduled for 10:00 p. m. For NMD info, please visit the website, or call (231)362-3439. 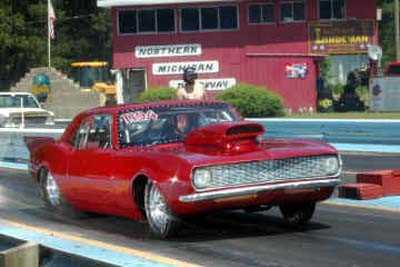 SUNDAY HAS BEEN ADDED TO THIS WEEKENDS SCHEDULE AT NORTHERN MICHIGAN DRAGWAY, DUE TO THE WEATHER FORECAST Sat. 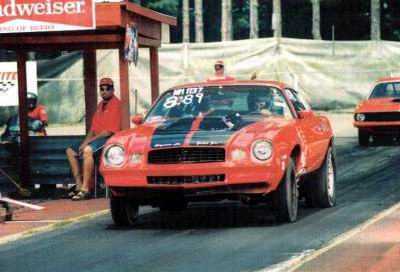 May 3 - Street Drags + Open Testing - Pro Tree, Heads Up; Time Trials, Fun Drags & Grudge Racing. No Eliminations; $5 to Race or to Watch. Race 5 - 9 pm Sun. May 4 - Open Testing; Time Trials 12 - 4 pm; Driver $10, Spectator $5. 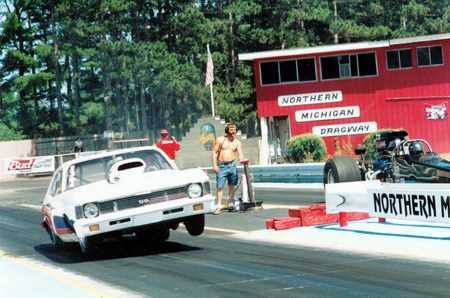 Northern Michigan Dragway has moved their site and it can now be found at http://northernmichigandragway. net. Sharon Ledford, did you have any luck buying property in the u. p. to put a strip on ?. So you guys how did the IHRA bracket nationals go for you? Lets see some pictures of some of the Detroit iron running up there. hi my name is brian i am new to the area. scottville that is. does anyone out there have info on the track in bear lake. do they have bracket racing or any tipe of events there. what nites do they test and tune. i am teaching my girlfriend how to drive. she wants to know if any other woman are out at the track. hope someone can help me. thanks for your time. Randy, use kenoshaki(AT)@(AT)netonecom. net just leave out the (AT)''s. Steve, do you have an email address I can get? I''ll send ya pics of my 65. thanks! And again, I have to say. what an awesome site this is to be able to share so many memories and stories of all sorts. From the Webmaster - Thanks Randy - your welcome!. Randy, if you don''t have fun it''s not worth the time or trouble. 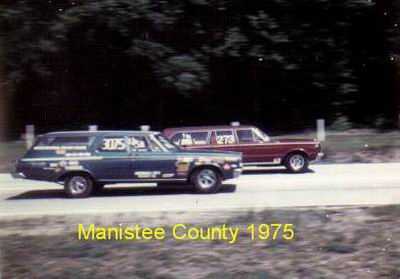 A guy named Doug Gleason used to build some awesome stock class wagons his wagon is the one pictured taking off from the line. He went on to build some stout bracket cars. I have some video of a 66 or 67 Chevelle wagon at NMD. It said on the tailgate, real race cars don''t have trunks. The car ran real well and hooked like crazy. Good luck with your wagon project!. Steve, awesome pics. 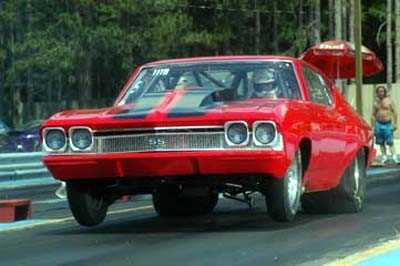 I am a big fan of ''drag wagons''. I use to race a 69 Chevy II back in the 70''s, but got out of racin in the 80''s (always a fan thohugh). 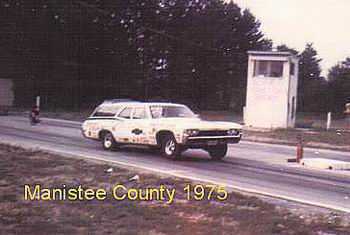 oddly enough I have now bought a 65 Malibu Chevy Wagon and it is strictly a drag car - will not be streetable. I plan on having it ready for next year. 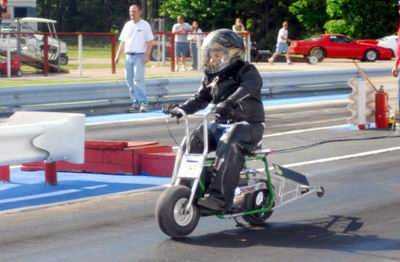 I just want to go out and have fun with it, not trying to break any land speed records (lol). 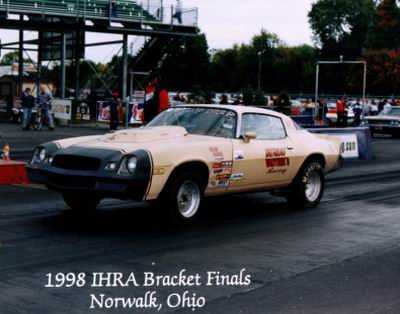 What I am about to mention is not related to the MI scene, but Norwalk (Summit Raceway Park) is having there Nostolgia drags Juy 27-29. To Randy. A pic of my Galaxie is in the picture section. :) To Webmaster, Thank you. To BOB VANDEWATER. Hey Bob did you ever take a starting line picture of my 64 Galaxie? My girlfriend took some great shots of the christmas tree and the roof of my car, and some great blurry burnouts LOL Steve. Steve. do you have some pic''s of your car. you should post ''em if so. This is a great track to race at. Brian is doing a great job! Seems every year something new is added. 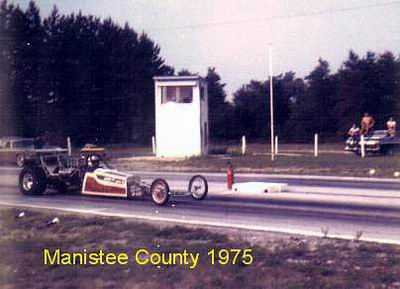 I began racing at NMD(then Manistee County Dragway) in 1975! Right after my 16th birthday. 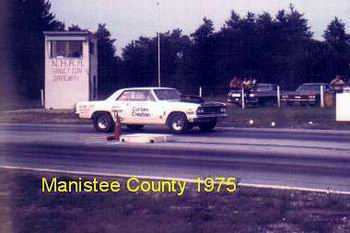 This was the last dragstrip built in Michigan in, I think, 1973. We used to race 1/4 mile until someone felt the need to cut the shut down area in half. Then it went to 1/8 mile. The track shut down for awhile, until it was reopened in the late 80''s by a group of racers and was run by them and eventually turned back over to the Ledfords. The track has seen many improvements over the last decade or so. After a resurfacing it was like racing on a pool table! And REAL flush toilets! Yes we have real indoor plumbing up north. The people are always friendly and the purse return for entry is the best in Michigan in my opinion. Although I''ve been laid up for several years I still have my race car and I do plan on returning to NMD!. John, was Harvey your dad? If so this is your cuz. Boy not much here, This is an awesome track, a real jewel in the north. I quit racing 20 years ago and bought a car last year, the plum crazy purple Duster (B&B Racing) These are the guys who owned the car, have been having a blast with the guys, they have helped me get it running and getting me back in the groove, thanks Mel, Phil and Jimmy. I went to the Semi finals two weeks ago and won the gambler race this year. these are a great bunch of guys, come on out a give it a shot. Located in the little finger of Mich used to pay out big purses in the seventies, racers from Detroit and Canada would make the loong trip. 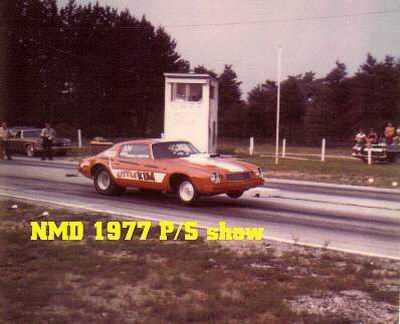 It was owned by Jim Ledford who later bought Central Michigan Dragway and turned it into Mid Michigan Motorplex. Racing selected Saturdays and Sundays, plus Memorial Day, 4th of July and Labor Day; check Season Schedule to be certain of race dates. Open 10 am - Eliminations 1:00 PM Track info: 1/8 mile Brand New Asphalt (May 2001); Chrondek timing & scoreboards; 120 concrete launch pad.